Toenail fungus isn’t pretty, so you’d be forgiven for wanting to do all you can to hide the problem. After all, no one wants to put those unsightly spots and crumbly nails on display for the world to see. Fake nails can be a quick fix solution that, quite literally, cover up the problem. But, is this the right way to handle a case of toenail fungus? Here are some answers to your questions about this nagging problem and how best to deal with it using simple home remedies and at-home treatments that don’t take much effort. Some of these tricks and tips might be quicker and less expensive than getting those fake toenails put on by a nail artist. Plus, they’re healthier and safer than letting the problem fester beneath those gorgeous fake talons! When you have toenail fungus, your nails tend to become discolored. Most often, they turn yellow, white or even brown. Fungal infections cause nails to become thicker than usual. Over time, they are also more fragile and crack easily. Should You Use Fake Toenails to Cover Up Nail Fungus? Using fake toenails can be a quick cover up for damaged or infected nails. Unfortunately, by sweeping the problem under the carpet, you could be causing further damage. By hiding the visible signs of infection, you may not notice if things are worsening. If you’re treating your nails, most remedies require you to apply the serum or ointment directly to the affected area. The fake toenails will block access to the affected skin and nail and render the treatment ineffective. When fake toenails can be a huge help is if you have had to get a section of your toenail removed due to the fungus. The remaining portion of the toenail might not look very pretty, but applying a fake toenail to the location can make your toes look as good as new! In some ways, it is not unlike a prosthetic like you’d have for any body part you’d lost. Once your nails grow back in, you can go back to showing off your own natural nails in their new healthy fungus-free avatar. The Toulifly Toenail Fungus remedy is quick and easy to use, and incredibly effective. It is beneficial to those with toenail fungus like onychomycosis as well as for attendant issues stemming from a toenail fungus infection. What’s most exciting is that you don’t need a doctor’s prescription for this treatment, and can apply the medication in the comfort of your own home. To use, simply apply the formulation to the affected nail (after cleaning and wiping your nail and foot dry completely), and leave it to dry for a few minutes. Ingredients like medicinal rhubarb, salvia extract, leaves (artemisia argyi) extract, Speranskia (phryma leptostachya) extract, and more make this remedy a lasting solution to toenail fungus. 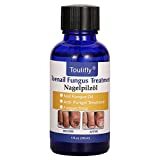 The Toulifly Toenail Fungus treatment doesn’t just get rid of the fungus; it also helps repair your nails by stimulating cell regeneration of your toenails. You should see an improvement in the color and clarity of discolored and damaged toenails. The makers of the product suggest using it for 3 to 6 months to ensure the fungus is gone completely. 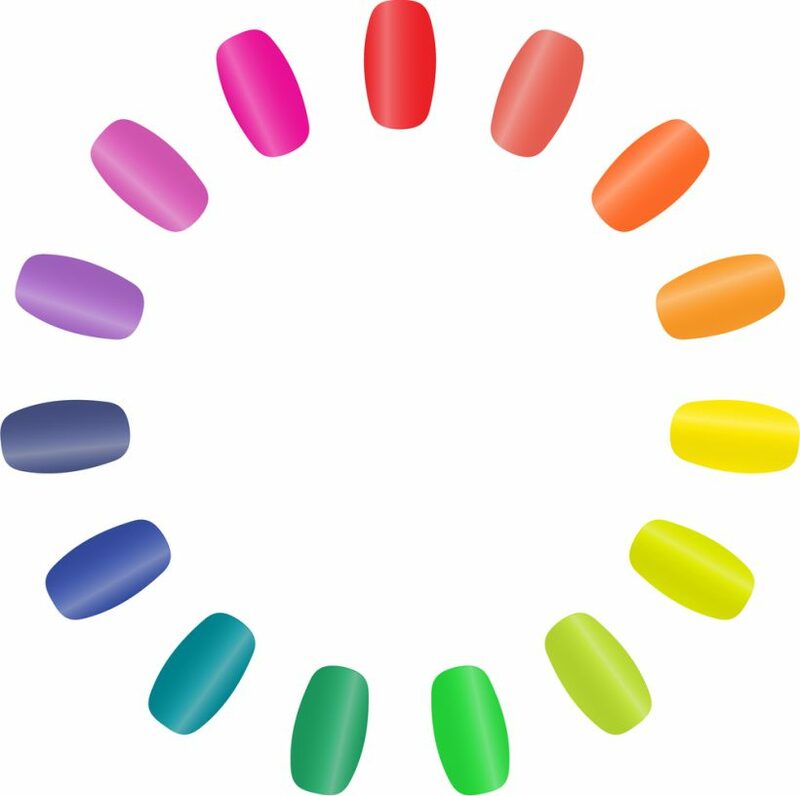 However, you are quite likely to find the color and texture of your nails returning to normal well before that. Some see a significant improvement in a matter of weeks. 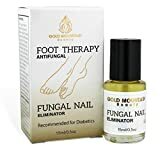 An antifungal toenail therapy that’s formulated by doctors, Gold Mountain Beauty Fungal Nail Eliminator can help you overcome toenail fungus with ease. Simply apply the formulation using the applicator to each affected toenail and leave to dry. Apply it to the cuticle and skin surrounding the toenail with the fungus. Use the remedy thrice a day for best results. Do not use nail polish/varnish when treating your toenail fungus; that will undermine the effectiveness of the treatment. The Puredia Seaberry (sea buckthorn) oil, omega 3, 6, 7, and 9, as well as the 1% tolnaftate content help with toenail cell regeneration and boost skin hydration while also fighting off fungal infections. You should notice results in as little as seven days with complete effects kicking in during the weeks that follow. Unlike pills or stronger medication that your doctor may prescribe, these remedies are unlikely to have any side effects. In fact, Gold Mountain Beauty Fungal Nail Eliminator is dubbed safe for use by diabetics too! Nature has an abundance of natural antifungal ingredients. Use these to your advantage for a quick and easy solution to beat fungal infections including toenail fungus. Baking soda is a great antifungal remedy that can be used in foot soaks and homemade topical treatments to keep fungal problems in check. Epson salts have the additional benefit of also helping bring you relief from any pain you may currently be experiencing as a result of your toenail fungus. Vinegar added to clean warm water can make for a relaxing home remedy for toenail fungus. Tea tree oil added to a foot soak is another effective antifungal remedy. Whichever remedy you decide to try, don’t forget to wash your feet and pat them dry with a fresh, clean towel each time. While the fungal infection may clear, you might need to be patient for the nail to look completely normal again. Toenails take around 12 to 18 months to grow out fully. Avoiding toenail fungus isn’t rocket science. But what it does require is attention to hygiene and a little TLC (tender loving care) for your toes! Pay them the same attention you do to your hair and skin, and you’ll soon see the last of any pesky toenail fungus. Always keep your feet nice and clean. Don’t allow moisture to seep in. Always dry your feet well and change your socks if they get sweaty or wet. When you visit a nail salon, check that all equipment used is properly sterilized before use. Alternatively, you could even carry your own tools and request the therapist to use those instead. Trim your nails, so they aren’t too long. Short toenails are less likely to get dirty and become a breeding ground for germs and fungi. Don’t go barefoot when you’re in public places like changing rooms/locker rooms. This can lower the risk of contracting a fungal infection from others or the environment. Don’t share socks, shoes or any nail grooming equipment with anyone else. Ensure the shoes and socks you wear are made from breathable material. Using convenient anti-fungal remedies like the ones we’ve talked about, as well as taking care to ensure good foot and nail hygiene, is vital to ensure your toenail fungus problem doesn’t get out of hand. Combine these with some of the simple all-natural home remedies, and you should be able to beat the fungus and put your toes on display again real soon!